His father Frank was a hairdresser and mother Jacqueline is an astrologer and women's wrestling promoter. Her maiden name is Labofish. 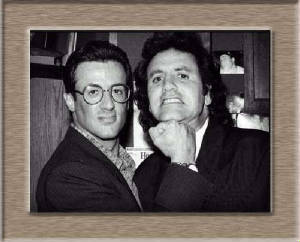 Sly's brother Frank is an award winning musician and actor. At the University of Miami Sly joined the Ring Theater, where he was not exactly encouraged to continue anything other than to pick up a saw and a hammer and chisel and work in theater--behind the curtain, not in front of it. 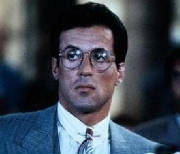 They said he was too physical, his voice was too deep and his mouth has a snarly look" .Sly went home completely paranoid." I didn't want to go home and look at myself. I was the Elephant Boy. What happened? Came here feeling good and I'm leaving as the Quasimodo of the South Beach. I couldn't believe it".